If you want your money to grow faster than simply holding it in a savings account (where it will hardly get 1% growth each year) you need to look into investing. 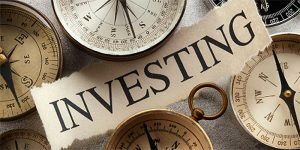 Investing is a very wide and arching term and there are investments of all different shapes and sizes, so there is almost surely something you will be interested in. However, unlike keeping money in a checking or savings account, investing your money in the market comes with some inherent risk. Some investments come will more risk than others, but there is no such thing as a legitimate and 100% “risk-free” investment. As a result, you need to educate yourself before you ever put your money at risk by investing. This article is going to take a look at a few important things to know before you dive into the world of investing. Before investing any money at all, you need to be aware of what your risk tolerance is. Some people will be okay with a ton of risk for the chance at a lot of reward, while others will prefer to limit risk while still growing their money faster than in a savings account. The risk tolerance you have will determine what you invest in. If you are not inherently aware of your risk tolerance automatically, don’t worry. There are quizzes and calculators online that will help you be able to determine your risk tolerance in only a few short steps or by you answering a few questions. Once you know your tolerance, you will know where you should be able to comfortably invest. In order to have enough money to invest, you need to be able to save money. Without any saved money, investing becomes much riskier as it is all you have. Of course, saving money is important if you want to accelerate your savings, but it can also be important to your investments as well. If you are good at saving money, you will likely feel comfortable enough to invest some of it, as you know you will be able to just save some more if your investment doesn’t go well. But if saving money isn’t your strong suit, you might be a little bit hesitant to put money at risk, knowing how long saving that money up again will take. Once you know your risk tolerance and that you are capable of saving up enough to invest, it’s time to figure out what you want to invest in. As mentioned before, there are a ton of different types and kind of investments to choose from, and there is no need to limit yourself to one of them, either. If you want to take a little bit less risk, you can invest in things like bonds or index funds, which will see a decent amount of growth, without putting your money in a ton of risk. If you like to take huge risks, investing in cryptocurrency or individual stocks might be the option for you. So while your risk tolerance will help determine what you want to invest in, ultimately, you will make the decision. Also, each investment type may have a different “fee” attached to it (such as a management fee or a transaction fee) so always consider fees when investing, as well. Hopefully this article has cleared some things up for you and has made it easier to begin investing. While many people do it, investing is potentially risky and as a result, you need to be careful and educate yourself as much as possible beforehand.